I don’t know about you, but I can get stale. Instead of keeping myself ‘fresh’ by updating my own skills and consistently looking for fresh strategies, I shortcut best practices that work and get stuck in my own way of doing things. The problem: Staleness leads to inconsistent activity, results, and wins. 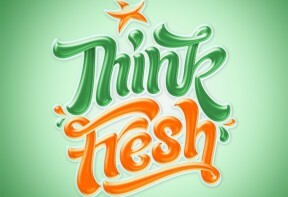 Fresh does not have to mean new or ground breaking. Some of the best advice was written hundreds and thousands of years ago (look up Aristotle’s writings: he really understood people). Fresh can be as simple as an iteration or add-on to something already discussed or shared. Stale ideas, suggestions, or practices can be freshened when they are challenged, rethought, and if still relevant, recommitted to. Fresh ideas come from listening and watching for relevant information that can help us be even more effective. Our eyes and ears provide us the opportunity to learn more and pick up new information. New information can change our paradigms and add effectiveness and efficiency as we have more to work with. More ideas, practices, tools, and resources allow us to personalize every conversation by adapting to the person and situation. Adapting or ‘right sizing’ the way we share information, data, and details means we are focused on what is relevant to the other person. When it is about Them… we get more—More connections, More wins. When we connect and win more, we earn more, enjoy our job more fully, relieve stress, and have more time for personal endeavors. We are happier and so are those around us. How can YOU stay fresh? When you are with colleagues, teammates, thought leaders, or anyone you can learn from, look for and share fresh ideas or freshen up your current practices. Leave the stale ones for your competition! Your turn! What do you do to stay fresh with your skills, ideas, and actions? 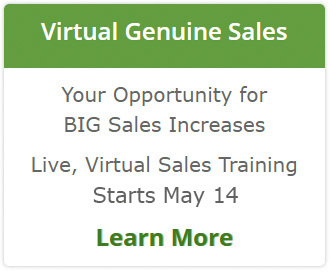 Leave a comment for a chance to earn a signed copy of Conversations That Sell.